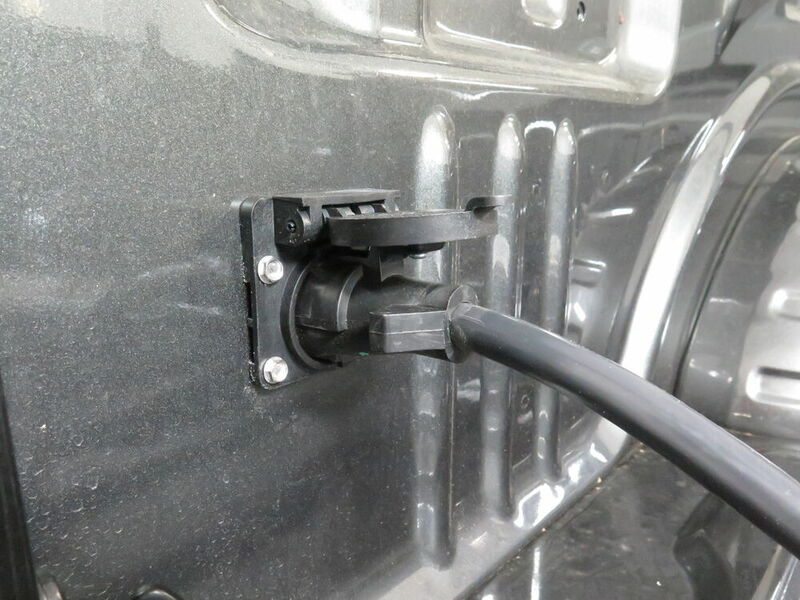 Mount this connector in your truck bed to hook up your 5th-wheel or gooseneck trailer. Custom harness plugs in-line with factory wiring. 90-Degree connector fits into tight spaces. 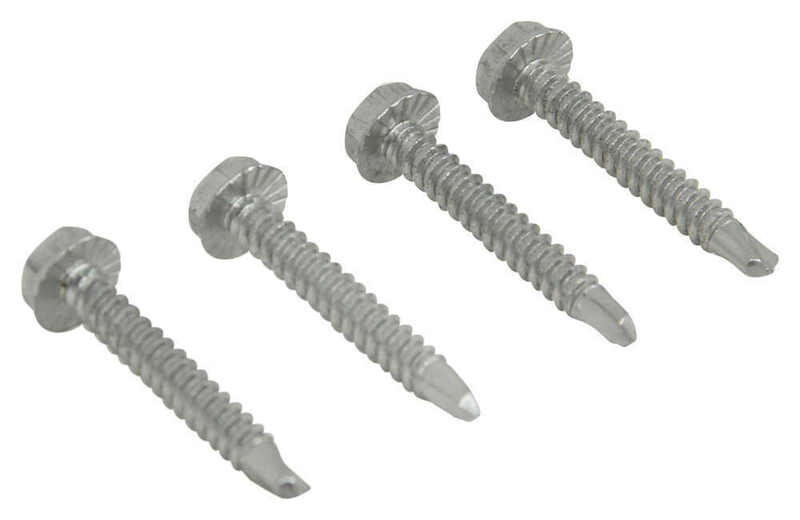 Aluminum mounting screws avoid galvanic corrosion in an aluminum bed. Call 800-298-8924 to order Bargman custom fit vehicle wiring part number 50-97-410-010 or order online at etrailer.com. Free expert support on all Bargman products. Guaranteed Lowest Price and Fastest Shipping for Bargman 5th Wheel/Gooseneck 90-Degree Wiring Harness for Aluminum Truck Bed - 7 Way RV - 9' Long. Custom Fit Vehicle Wiring reviews from real customers. Note: Steel mounting screws are included with this kit as well. If you are mounting this connector in an aluminum bed, discard the steel screws and use only the 4 included aluminum screws for installation. Speaker 1: Today we're gonna take a look at the Bargman nine-foot-long 5th Wheel/Gooseneck 90-Degree Wiring Harness with the seven-way connector for aluminum truck beds. Now, this is a custom-fit part. 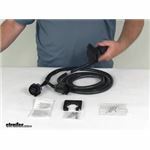 It is designed to to fit the 2015 and newer Ford F-150, F-250, F-350, and F-450 trucks with the factory seven-way.Now, this harness provides this seven-way blade-style connector in your truck bed for hassle-free hookup of your 5th wheel or gooseneck trailer. 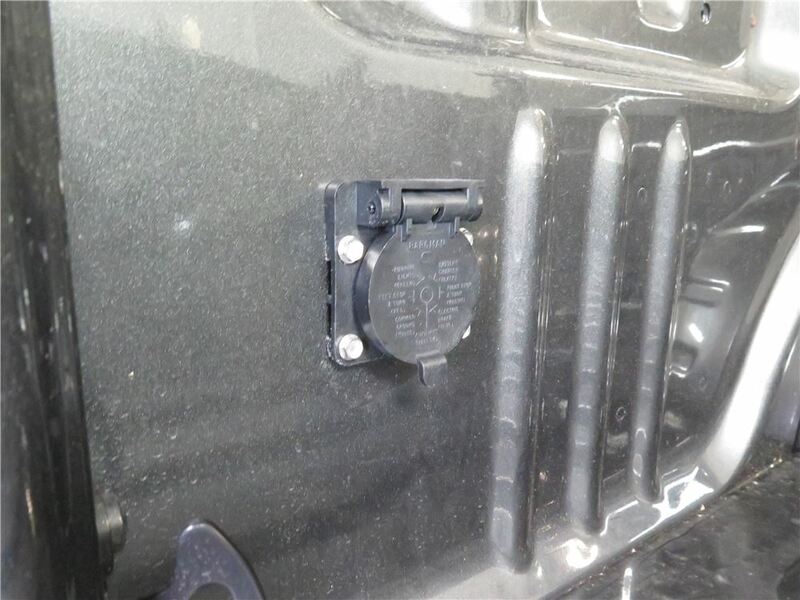 You can see it has a nice 90-degree angled connector right here, makes it very easy to install in your truck bed side rails using the included mounting bracket.This does plug into your factory wiring at the rear bumper. There's no cutting or splicing of wires. You just plug it in. Now, it does, again, require that the truck has the factory seven-way tow package on it. The harness itself is a nine-foot-long insulated wiring harness. It'll reach from that rear bumper where you plug this in to the truck bed.When you do plug it in, you unplug the wiring harness from the back of your factory seven-way, plug this into your seven-way, plug this into your harness, and when you do that it will still retain the use of that factory seven-way on the bumper of the truck.This is custom-fit for your vehicle. It's constructed of a durable, weather-resistant material. Heavy-duty cable is insulated and then it's molded right there, you can see here, into the connector. 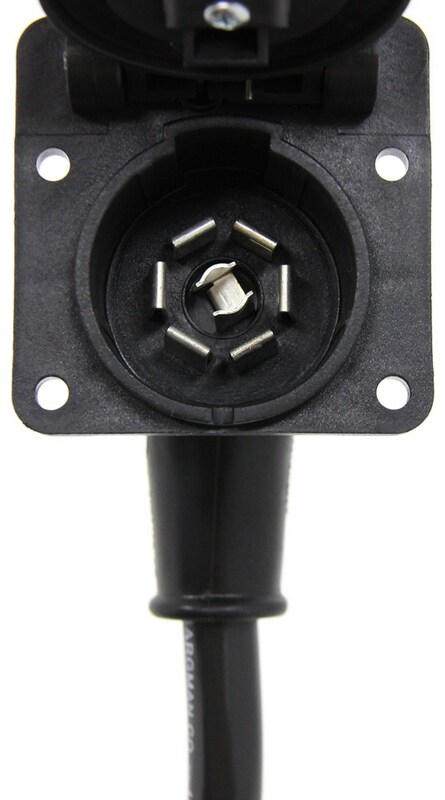 The seven-way connector is made of a flame-retardant material, has a nice spring-loaded cover to cover that, keep any elements from getting into the connector.Now, one note I do want to make sure is that when you do install this seven-way mounting bracket in your aluminum truck bed, it is recommended to use, we include these self-tapping aluminum screws. The bracket comes packaged with steel screws, so you don't want to use those. You want to make sure to use the aluminum screws when you attach this to the bed 'cause that'll prevent any galvanic corrosion from occurring. Any time you have two different metals, like steel and aluminum, if they contact each other you'll end up getting some corrosion. You want to prevent that by using the aluminum screws that we include.Again, the harness length on this is nine-foot long. The wire configuration of this, the yellow is center auxiliary, the green is tail and license lights, the brown is right turn and stop lights, the blue is electric brake, black is the battery charge, the red is left turn and stop lights, and the white is ground wire. The gauges that are used in this harness, the black and white wires 10-gauge, the blue is a 12-gauge, and the remaining four, the brown, red, green, and yellow, is 14-gauge.It does come with a nice set of detailed instructions, describe how to install it, and it even shows pictures of where you connect everything. But that should do it for the review on the Bargman nine-foot-long 5th Wheel/Gooseneck 90-Degree Wiring Harness with the seven-way connector for aluminum truck beds. Order: RelevanceNewestRating - High to LowRating - Low to High Mount this connector in your truck bed to hook up your 5th-wheel or gooseneck trailer. Custom harness plugs in-line with factory wiring. 90-Degree connector fits into tight spaces. Aluminum mounting screws avoid galvanic corrosion in an aluminum bed. 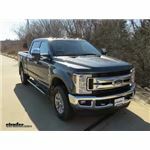 I spoke with a representative of Bargman, who told me that while # 50-97-410-010 will work with your 2017 Ford F-350 with the fifth wheel prep, there have been very, very rare occasions where it can read a trailer is connected when it is not. To avoid that issue, it is recommended that you use Bargman # 54701-007-010 for fifth wheel wiring with your '17 F-350. I've included a link to a video review of this product for you to take a look at. 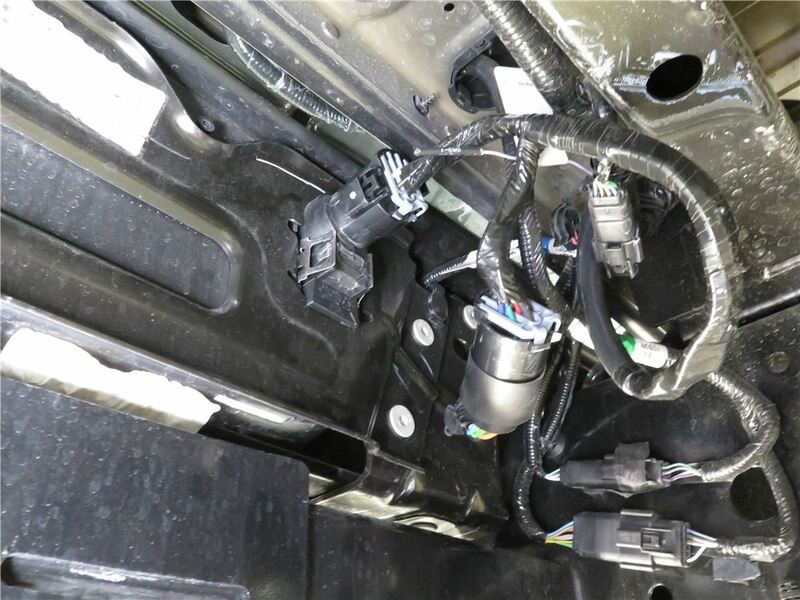 Yes, the Bargman 5th Wheel/Gooseneck 90-Degree Wiring Harness for Aluminum Truck Bed # 54701-007-010 is a confirmed fit for your 2017 Ford F-350. 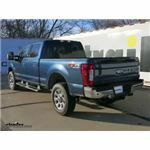 The only airbag system we offer that will work with the B&W Turnoverball Underbed Gooseneck Trailer Hitch part # BWGNRK1115 while installed on your 2016 Ford F-150 is the Air Lift LoadLifter 5000 Air Helper Springs part # AL57268 for 2WD models or part # AL57284 for 4WD models. The Bargman 5th Wheel/Gooseneck 90-Degree Wiring Harness part # 50-97-410-010 is indeed an excellent choice for your F-150 and will work well for you. Would you be able to tell me what it is you are towing with right now? Any more specific info you can offer would be great, as well as what you are specifically looking to accomplish, which I assume is simply find a way to be level when towing but I'm just ensuring we are completely on the same page. 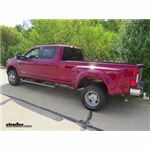 The easiest 5th wheel rail installation comes with a custom-fit kit that is made for your specific vehicle. 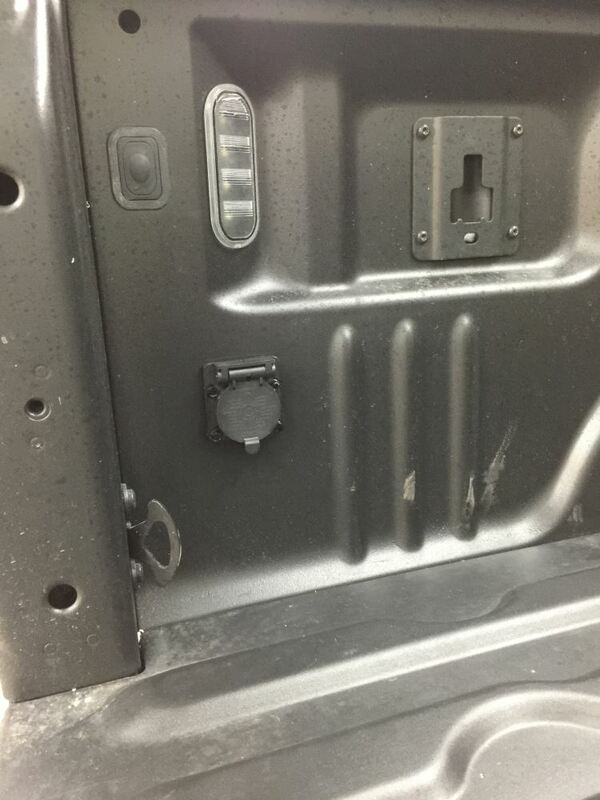 These cost more and take less time to install because they are vehicle-specific and use existing holes in the truck's frame. Less drilling is required and this is where the time savings comes from. For your 2017 F-250 long bed without the factory rail kit you can use Quick-Install Custom Base Rail kit # RP50074-58. 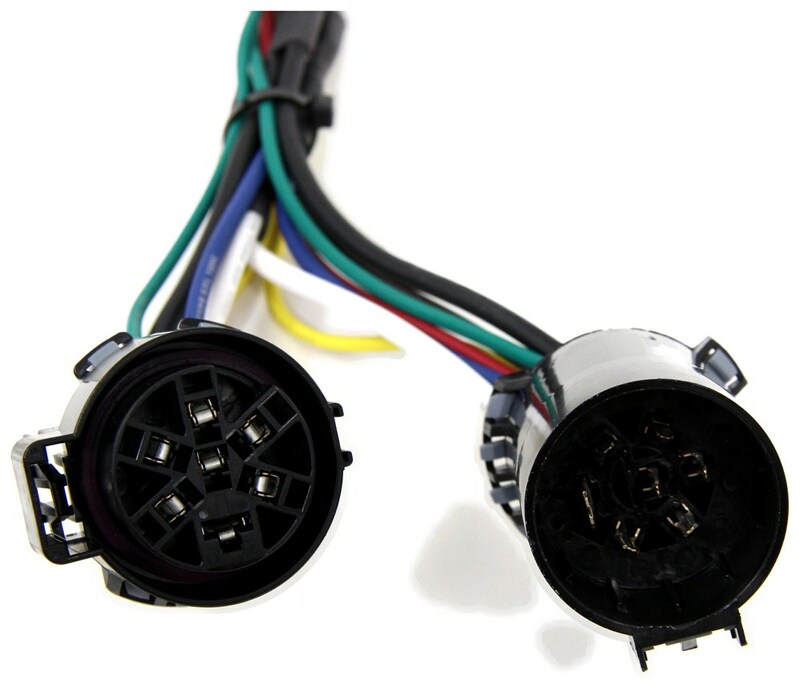 For a 7-way wiring harness for the truck bed use # 50-97-410-010. The longest fifth wheel 7-way wiring kit is 10 feet long like the part # 41157 which would work well on your 2017 Ford F-350. We have just what you need. Part # 50-97-410-010 from Bargman is a 9-foot harness that plugs in inline with your existing 7-way. This will give you two separate 7-way connectors for your slide-in camper and your trailer.